There is a well-documented need for social media engagement in today’s world of online interaction, but many brands find it difficult to drum up excitement for their products, services or messages. Social media can be an unforgiving place when it comes to brands with boring messages and untested tactics, but thankfully, establishing a solid foundation through which more activity can be generated is not impossible. On Facebook in particular, algorithms tend to show people content that is interactive, engaging and relevant to their interests. Below, we’ll discuss how you can implement a few simple elements to begin boosting overall engagement rates with your audience. Facebook posts via brand pages do not have the longest of half-lives. In many instances, it has been shown that pinging users with a post can produce a few hours of prime activity, which quickly begins to fade after that. Because of this, brands must find ways in which to constantly be updating users with new and exciting content. This can be a challenge, but not every piece of content needs to be exciting. In many respects, Facebook measures brand activity when determining how many of your posts to serve up: the fewer the number of updates, the less visibility each post receives. By updating at least a couple of times per day, you can be sure that Facebook knows your brand is active. Any brand that wishes to gain the true potential that Facebook engagement can provide will need to invest in at least some paid advertising through the network. Recent changes have ensured that fewer people in your audience overall will see each individual post, making the need for paid ad use necessary. With demographic targeting tools, you can decide exactly who to target in your existing audience or who are not currently connected with each ad campaign. This can be a great way to boost engagement on a post, increase your number of likes or convert individuals in some other capacity. By determining a specific weekly or monthly ad budget, you’ll be able to reliably boost engagement on a regular basis in one or more ways. It may sound simple, but engagement sometimes only requires a bit of asking. While pinging users with blog posts, articles and other forms of media can be a way to ensure people see your brand is active, each post should be an attempt to start a conversation. By asking people what they think about the content or asking them to share the content with others, you’ll be amazed at how engagement rates begin to increase. In addition, once people start engaging with your audience, it is up to you to follow through by engaging with them. This can be anything from comments when they share, to replies on comments left on your posts. A back and forth dialogue is absolutely necessary in order to ensure that overall engagement rates on Facebook brand pages continue to increase not only in the short-term, but over the long-term as well. 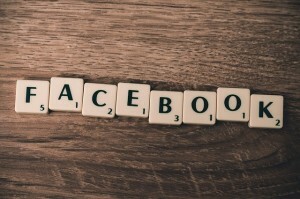 Three Simple Tricks to Boosting Likes on Facebook and Beyond!